Family of the Month: The Davises! 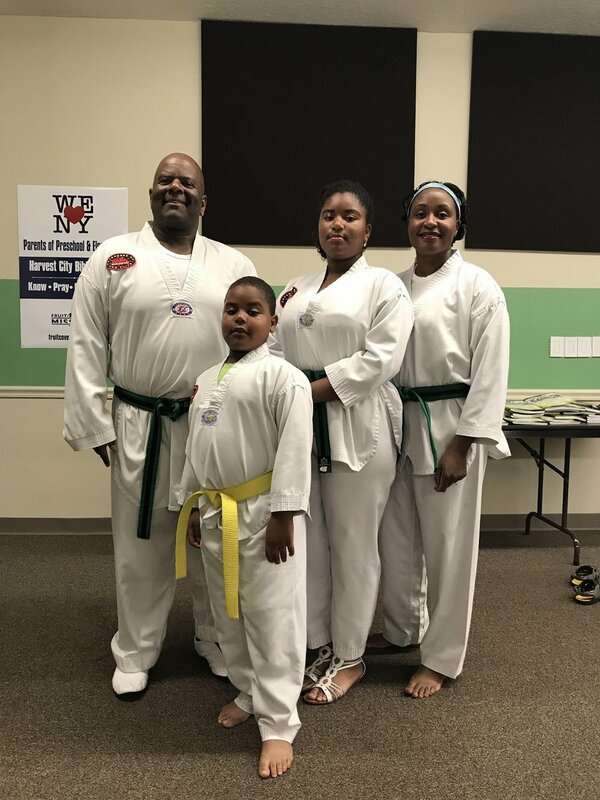 Yesha Taekwondo wants to give a huge shoutout to our family of the month, the Davises! After participating in taekwondo for two years at another facility, the Davis family found out about Yesha Ministries a various number of their friends. Soon thereafter, they took their kids (daughter, Sarah, and son, Miles) to our Fruit Cove location. The children were immediately welcomed with open arms and Master Larry Wang heavily encouraged our entire family to participate. By the second class, the entire family of four were training and the “race” for the first family with black belts had begun! 1️⃣The Ministry aspect superbly reinforces our Christ Walk. 2️⃣Thee discipline that is honed out of the training transcends into all aspects of life. 3️⃣They get to participate, not spectate, with our kids. How many parents can say that outside of Yesha of course? 4️⃣They’ve not only found and met new friends but made a family that goes well beyond class.